Steeltown is reinventing itself by looking to its future for inspiration, ingenuity and industry, rather than its storied manufacturing past. And in doing so, the one-time steel capital of Canada is turning into an increasingly urbanized hub of creativity of special appeal to millennials. The influx is part of what a recent report called Emerging Trends in Real Estate identified as “18-hour cities” — secondary urban hubs like Austin, Tex., Denver, Col. and Raleigh, N.C. are attracting younger people discouraged by higher costs of living in “24-hour cities” like New York San Francisco and Toronto. Millennial-aged Torontonians, in particular, are moving to Hamilton in droves, where housing is affordable and economic prospects are buoyant. But Hamilton is doing more than merely offering affordable, diverse housing stock and jobs, it’s cultivating culture. “Young people are not just coming to live but to set up businesses, whether it’s in the restaurant industry or digital media and other creative sectors,” says Jason Thorne, general manager of planning and economic development for the City of Hamilton. Hamilton is also promoting its existing assets to attract new residents, for example, the downtown neighbourhood of Beasley, with its abundance of historical buildings. And as the city continues modernizing, it expects an LRT to be up and running within a decade. “There are a number of programs in the city designed to help bring more development into our downtown area,” said Thorne. “We’re embarking on a light rail system in our downtown, which I think will make it even more attractive to people who can live in a community where they don’t necessarily have to have a car, which again, is something a lot of millennials are looking for,” he says. Hamilton has also seen a boom in ‘co-work’ spaces such as Platform 302 and Seedworks Urban Offices. There’s also the Cotton Factory — now one of the most popular co-work spaces in the Golden Horseshoe and billed as the largest in Hamilton. A former cotton factory, the repurposed building has retained its industrial heritage, which owner Rob Zeidler, Partner at The Dabbert Group, says millennials flock to. 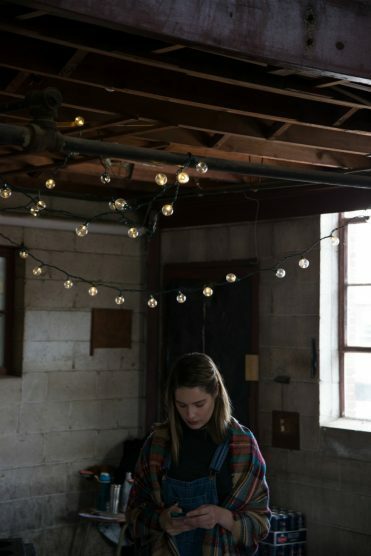 Roughly 70 per cent of millennial-aged tenants in the building are running web-design and marketing firms, and post-production film companies to go along with an assortment of filmmakers, photographers, sculptors and other artists renting space. “People in creative industries want to be inspired when they go to work,” said Zeidler. Hamilton: The Next Generation. Hip kids. Perched on a stool at the window bar in Hamilton, Ontario's Saint James coffee shop, a young woman is snapping a photo of her brunch from above, perfectly positioning her coffee cup so that a sliver of the white subway tile wall makes it into the photo. A Bahamas album is playing quietly on the stereo in the background, and behind the counter, the steam punk coffee machine is whirring—a next-level hipster process that has totally enthralled the small lineup of 20-somethings waiting for a table. Saint James is one of the latest additions to Hamilton’s thriving James Street North restaurant scene. Ten years ago, it would have taken real imagination to picture this downtown street so bustling with energy. Now it’s difficult to keep up. Though just an hour down the highway from the Big Smoke, Hamilton is no Toronto, and it celebrates that fact. It is a city that has embraced its underdog reputation; artists and entrepreneurs have flocked to the city en masse, lured by the cheap real estate and charmed by the dozens of nature trails, waterfalls, and conservation areas. There is a very punk-rock, do-it-yourself attitude about Hamilton. As a city still figuring itself out, it is a place where people feel free to experiment. Donut Monster. Photo by Reuben Vanderkwaak. On a sunny Saturday in October, new breath has been pumped into the old Lawson Lumber yard in the city’s east end. 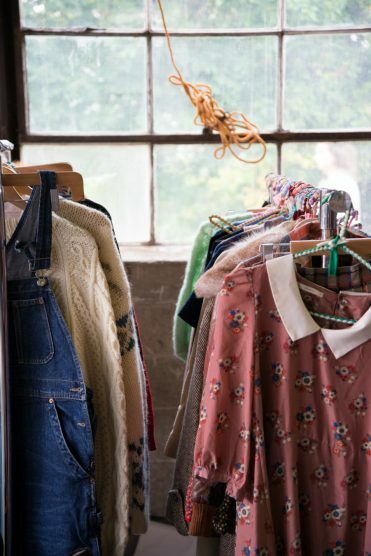 The yard has sat vacant for years, but today, string lights hang from wood beams, and metal rolling racks of vintage clothing dot the massive concrete floor. Colourful banners hang from the industrial bay doors. Young couples and friends stroll through, coffees in hand, admiring the bones of the old building as they browse handmade jewellery and vintage ceramics, records, and fur coats. Out back, an art installation has been set up in a dilapidated garage, where a mysterious resort-like mural has been painted on the inside. Local DJ duo Summer Fling is spinning vinyl by the front door as people come in, while organizers Whitney and Erika McMeekin wander around greeting friends and checking on vendors. This is the Hamilton Flea. Set up in a new location each time, the event is as much about the goods as it is about the space. And in this town, there is no shortage of cool old buildings to discover. Hamilton Flea. Photo by Dylan Ward. That sense of opportunity was one of the things the McMeekin sisters fell in love with here. The pair grew up in a small town on the outskirts of the city before heading off to Toronto and Montreal for school. It was only in their mid-20s that they returned, bored with the rat race and anonymity of big city life. Reuben Vanderkwaak is one of the vendors at the flea. 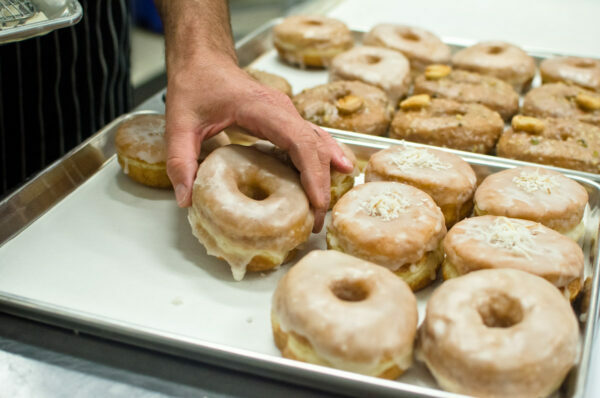 He launched his small donut business, Donut Monster, just over a year and a half ago. Previously a graphic designer and stay-at-home dad, he was inspired to take the leap into entrepreneurship after he and his wife took a bold year-long bicycling trip across the continent with their two young kids. And that secret is now out. Hamilton has suddenly found itself on the “cool” radar, and as a result, new businesses are popping up almost daily. Bidding wars are now the norm for the old brick Victorian homes that you used to be able to get for $200,000. Growth is good, but the city’s next challenge will be to ensure no one is left behind during the gentrification. Vanderkwaak, for one, has faith. “It is still early enough in the process that the barriers to entry for participation in that rebirth are still low enough for even first-time entrepreneurs,” he says.